Permanent collection of the Musée d’Art Moderne Grand-Duc Jean, MUDAM Luxembourg. 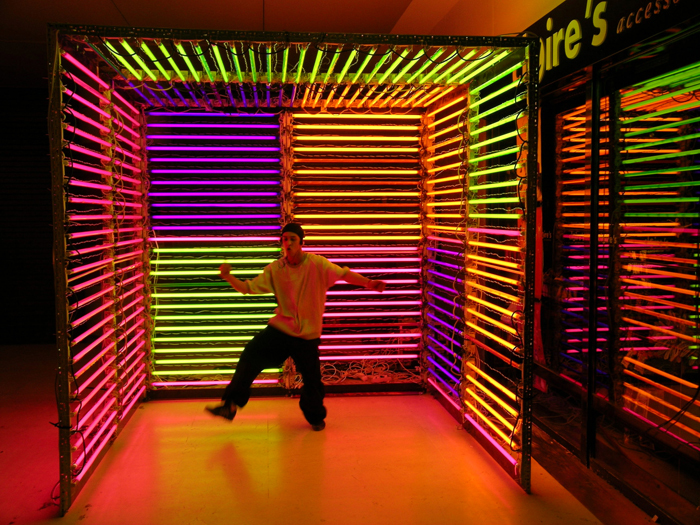 “Cubismes” is a performative space that resembles a large-scale neon Rubik’s Cube. 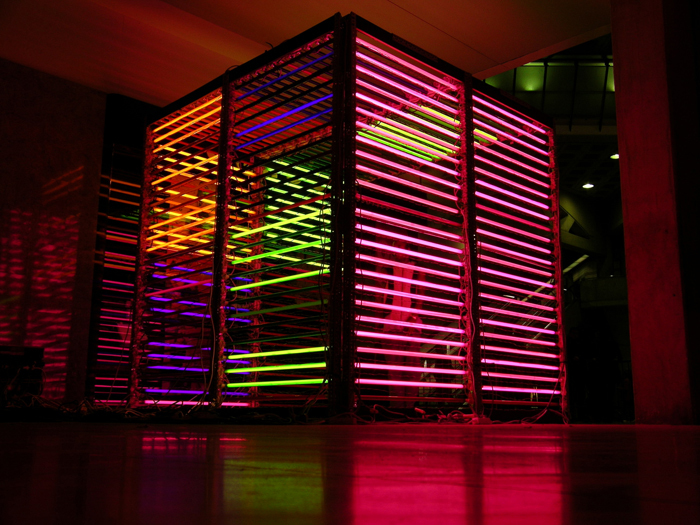 Lights, music and dance have their own processes, creating an extended-to-the- extreme music-video-like image. The installation is closed and visible from outside by a screen-like window. Visitors can stay as long as they want: the image remains in the viewer’s mind as a timeless object or a brief one-second glimpse. The 4 hour long non-stop live dance performance is highly energetic and complex, refering to music video choreographies, but reworked and extended to create a new reading, a plastic reinterpretation. The music is reduced to a repeated simple beat, the bare bones of a pop song.